The weekend forecast is pretty much a copy of last weekend, and the one before. Saturday has strong south easterly wind and some swell, and Sunday is almost windless with a swell of less than 2 metres. This all points to Hout Bay as being the best option. So Hout Bay it is, meeting on Sunday at 8.30 on the slipway. 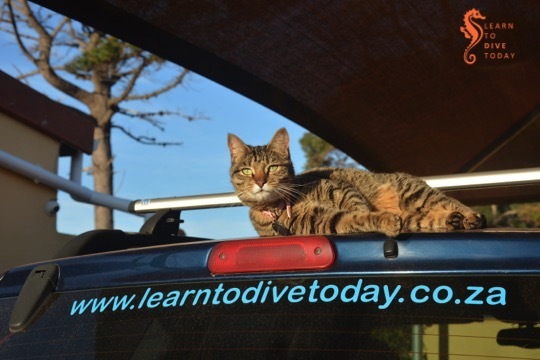 Both dives will be to a maximum depth of 18 metres, so suitable for Open Water divers. Let me know if you want to come diving. Don’t forget Earth Hour on Saturday, from 8.30-9.30 pm in whatever your local timezone is… Have a candlelight dinner and contemplate how you can be a better steward of the earth’s resources. This year’s focus is climate change. Want to learn more about it? We recommend this book by a team of South African scientists. For the sake of completeness, here are a few opportunities for ordinary citizens to contribute to science and conservation in Cape Town in the terrestrial realm. If it’s marine citizen science and conservation you’re after, read this post. Western leopard toads are gorgeous, endangered palm-sized toads that are found from Rondebosch to Bergvliet to Hout Bay, Sun Valley (hello!) and Glencairn. They are threatened by urbanisation, particularly during their breeding season. On rainy evenings in August they migrate en mass from neighbourhood gardens like ours – where they live quiet lives – to communal breeding ponds. This often entails dangerous road crossings, where hundreds of toads used to become roadkill. Enter Toad NUTS. 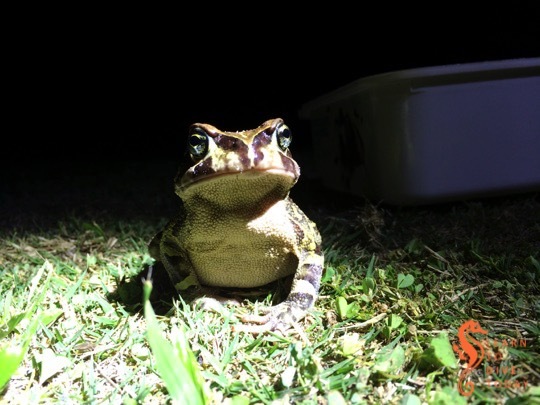 I’ve blogged before about the Noordhoek Unpaid Toad Savers project, but in the interim exciting developments have expanded the reach and effectiveness of the program. A mobile app has revolutionised the process of collecting and reporting on toad sightings, enabling rigorous data collection. All sorts of analyses are possible once some good data is obtained. In terms of direct interventions to reduce toadkill during the breeding season, the most effective one has been a temporary barrier on each side of Noordhoek Main Road is used to capture toads attempting to cross. The barrier is patrolled by volunteers, who then move the toads from one side of the road to the other. If you live in a Western leopard toad area, contact your local Toad NUTS representative to get involved. 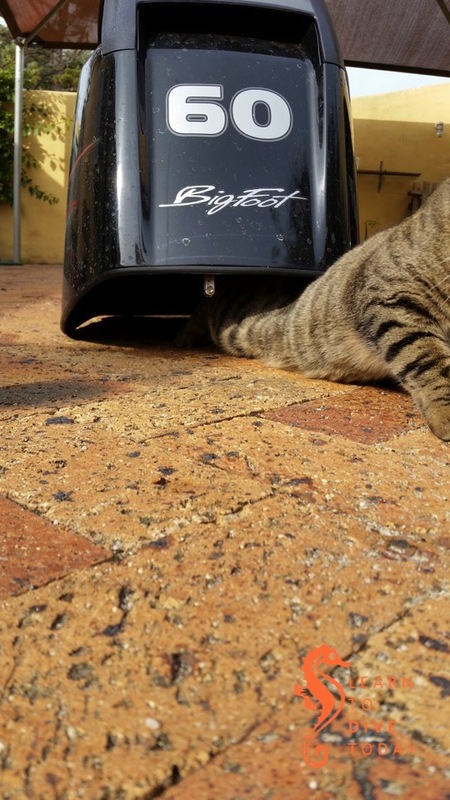 The Urban Caracal Project aims to determine the size of the caracal population on the Cape Peninsula, as well as the threats facing these gorgeous red cats – of which urbanisation and its trappings may be chief. If you don’t know what a caracal (or rooikat) is, ask the google. They are incredibly charismatic creatures. 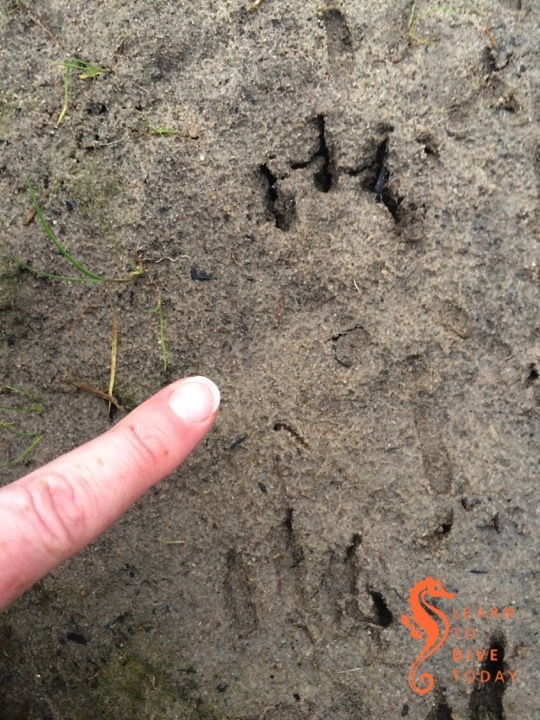 You can help by reporting caracal sightings, and calling in any caracal roadkill that you see while travelling Cape Town’s roads. You can find contact details for the project on the Urban Caracal Project website, or send them a message on facebook. 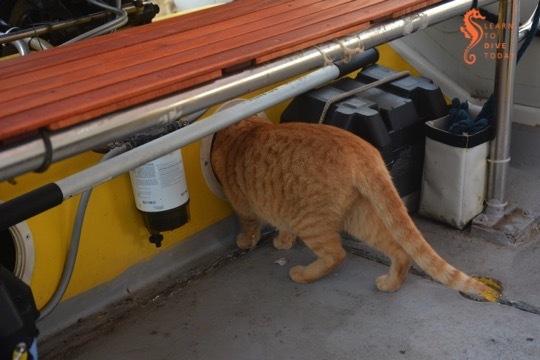 Cats are useful when it comes to boats. 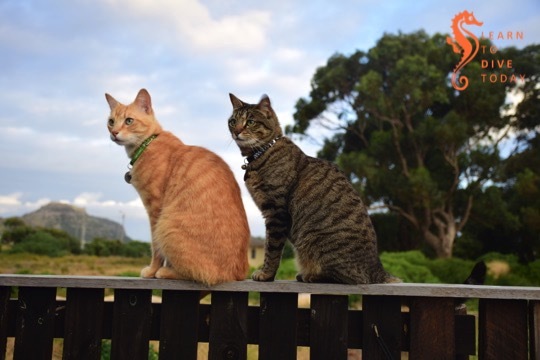 Despite using them to sleep, play and look at the world from, they can also perform useful inspection duties, making sure everything is in order. 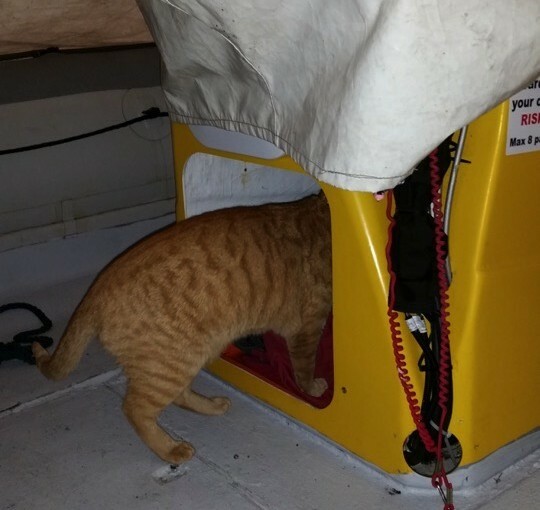 Here, showing unusual devotion to duty given that both the boat cover AND the console cover are on, Junior inspects the interior of the console to make sure that I didn’t forget to tell him there are sardines there, or something. 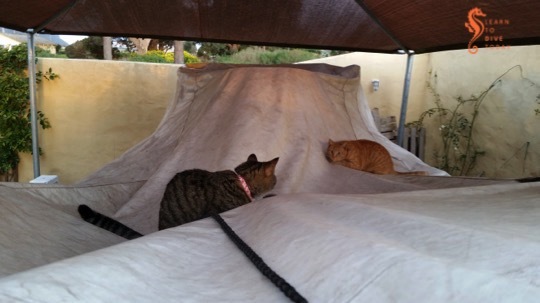 Boat covers aren’t just excellent resting spots. 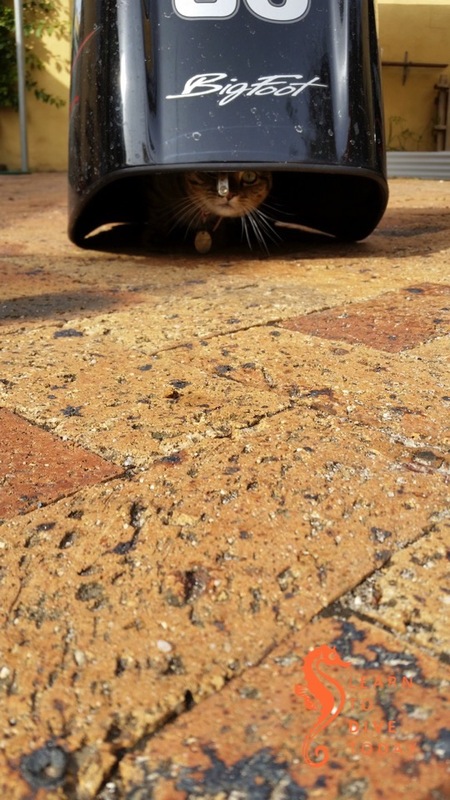 They can be used as sparring arenas for cats. Here are Junior and Blue getting ready to unleash fury on one another. 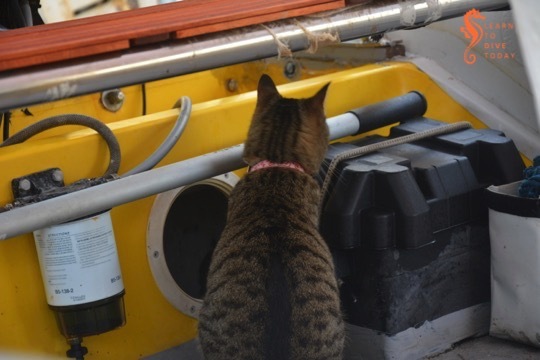 These photos were taken on a day when I was trying my best to work on the boat, but cats were swarming all over it as though it was the Jolly Roger pirate party boat at the Waterfront. Size is not an obstacle when you have determination. 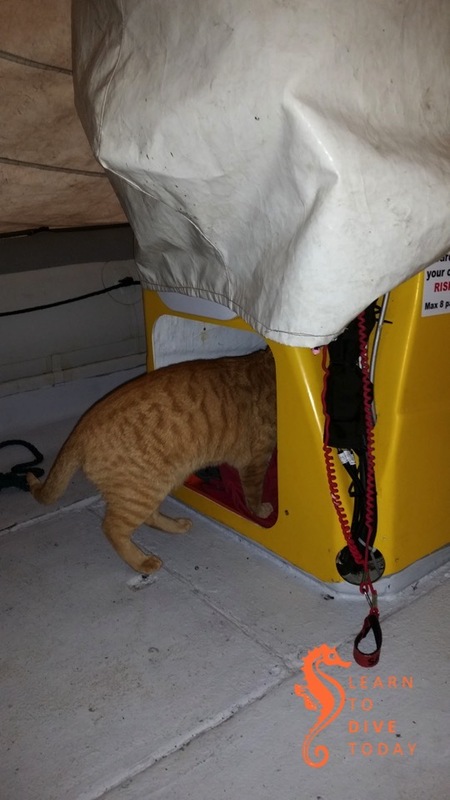 Here is Junior demonstrating that the opening of the inspection hatches under the bench at the back of the boat is almost exactly the size of his upper body. 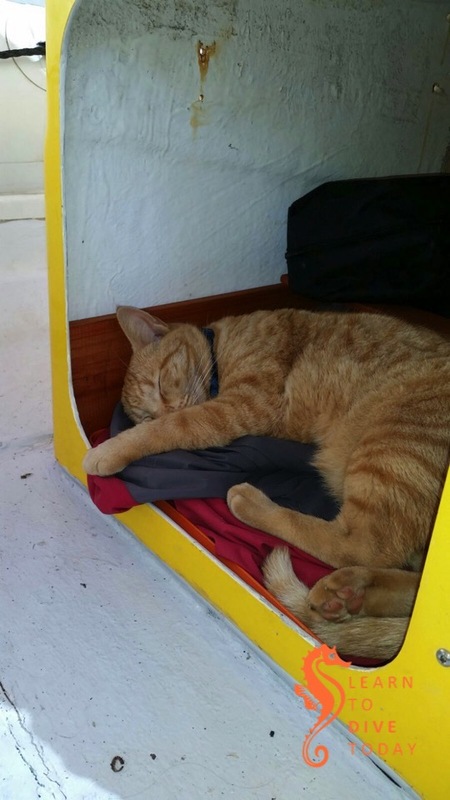 On a warm day when the boat is in the driveway, it’s not unusual to find a little stowaway asleep in the console. We think he’s been doing this for ages, but we’ve only discovered it in the last couple of months. 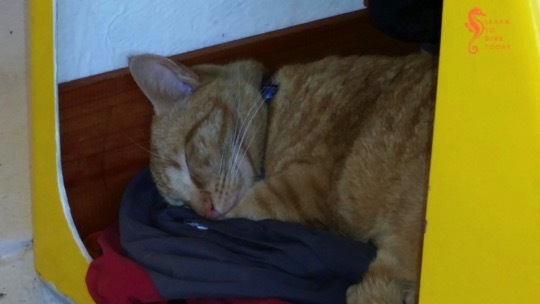 Junior’s unorthodox choice of napping spot is cool, shady and often contains a jacket or two for him to lie on. When it gets too warm, he moves his head further into the shade. Having for some time immersed myself in literature and film about the Antarctic (Endurance, Empire Antarctica, Ice Patrol), I have lately turned my attention to the Arctic. Unlike Antarctica, the Arctic is inhabited by humans, but if you go too far north, you run out of land. This is not a problem experienced by Antarctic explorers. Alvah Simon and his wife Diana set out to explore the Arctic in their sailboat, and decided (against all advice) to overwinter in a cove in Baffin Bay (which is more like a sea than a bay, and is situated between Greenland and the Canadian Arctic). 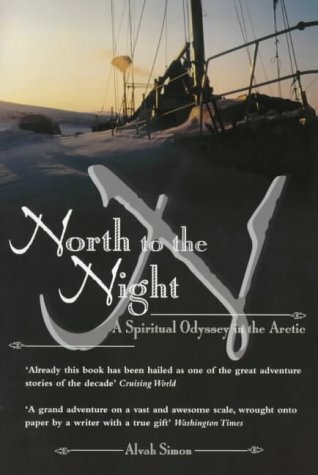 North to the Night tells the story of their journey to the Arctic, and the dark, freezing winter that Alvah Simon spent there, alone save for his cat Halifax, with his boat trapped in the ice. The subtitle of the book is apt: the intensity of Simon’s winter experience was such that he underwent a sort of spiritual transformation – perhaps an argument could be made that he started to lose touch with his sanity, or reality. The book thus serves to contrast the intensely practical preparations that the Simons had to make for the voyage, with the epiphanies they experienced as they explored and survived in one of the most challenging environments on earth. I was frequently frustrated with Simon’s over confidence and willingness to disregard the advice of people with far more sailing and survival experience than he had, but to his credit he seems to be able to see his own stubbornness, and does not attempt to justify or defend it. He is also able to see, in retrospect and to his credit, to what extent he tested his marriage with this journey. Probably a requirement to embark on this kind of trip is a certain steeliness of will and ironclad self confidence that manifests itself as arrogance, or even foolhardiness. It is also my suspicion that many with similar aspirations don’t return from their adventures, or don’t even set out in the first place. For this reason Alvah Simon’s beautifully written account is particularly precious and rare. You can get the book here (South Africa), otherwise here or here. Sometimes the only thing for it is to whip out your best Blue Steel face. Aren’t we lucky that the camera captured some of the branding on the Jeep, too! 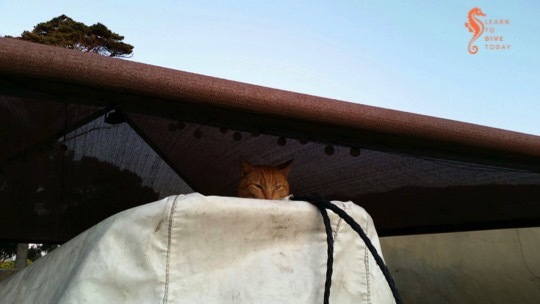 Junior the Ginger Killer‘s favourite lookout point is on top of the boat cover, under the carport (when the boat is there, of course). 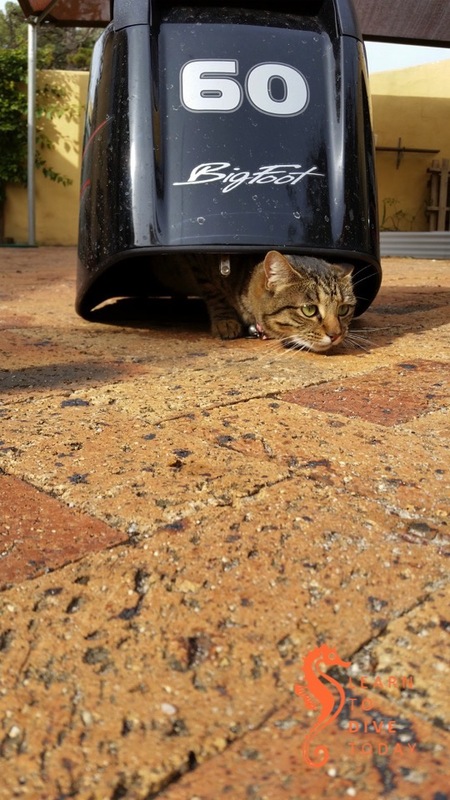 The boat cover is a bit bouncy, and I imagine it’s a bit like resting on a giant hammock. 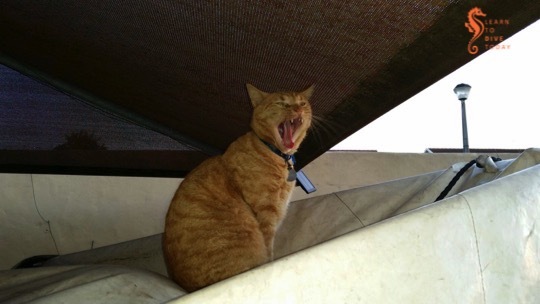 And sometimes he has to give commands, as all captains do. He expects you to listen. 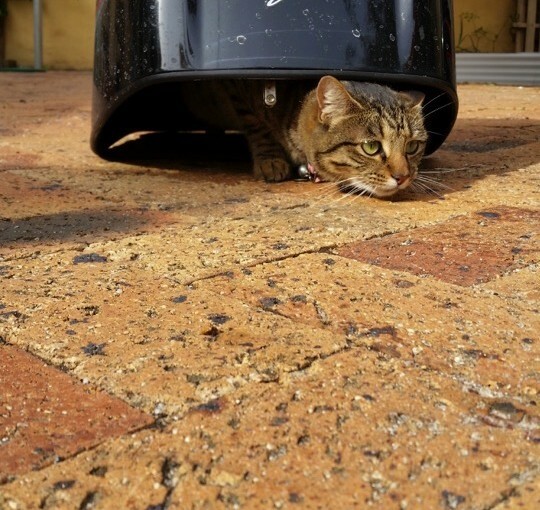 The best place for a little cat on a sunny day is sometimes the least obvious one. 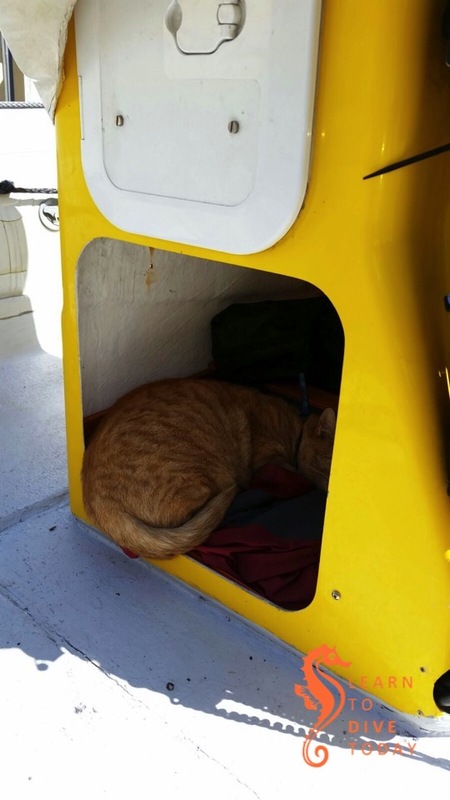 Here’s Blue, hiding under one of the engine covers while I worked on the boat. Which, if you have a round little tummy, may be easier said than done.